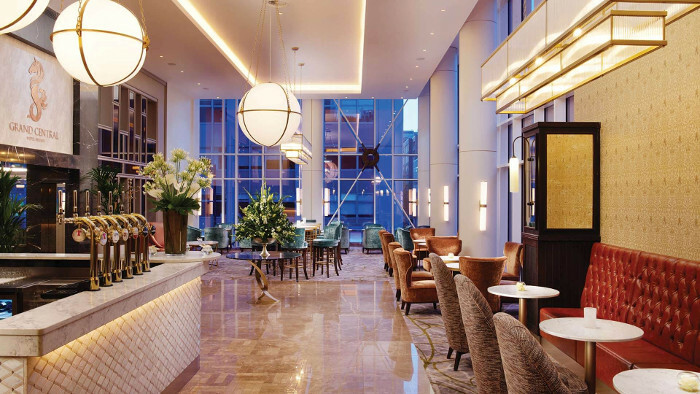 RPP Architects where involved in the design of every aspect of the hotel, from the external envelope which involved the design of prominent and distinct signage, a bespoke cladding system to the different bedroom, suites and all of the public spaces. 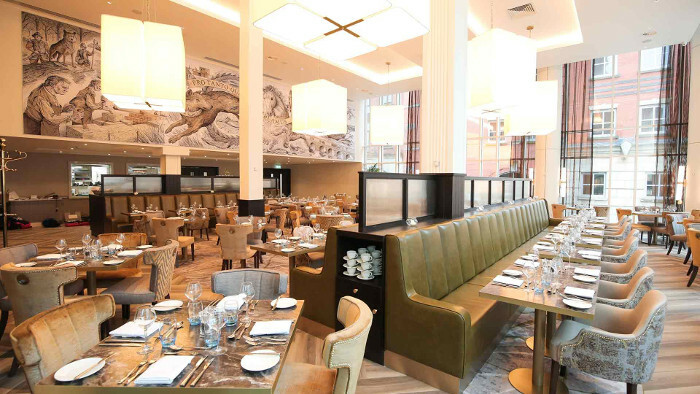 The Interior design was developed with Grahams construction and the Hastings Hotel group during a series of design workshops. 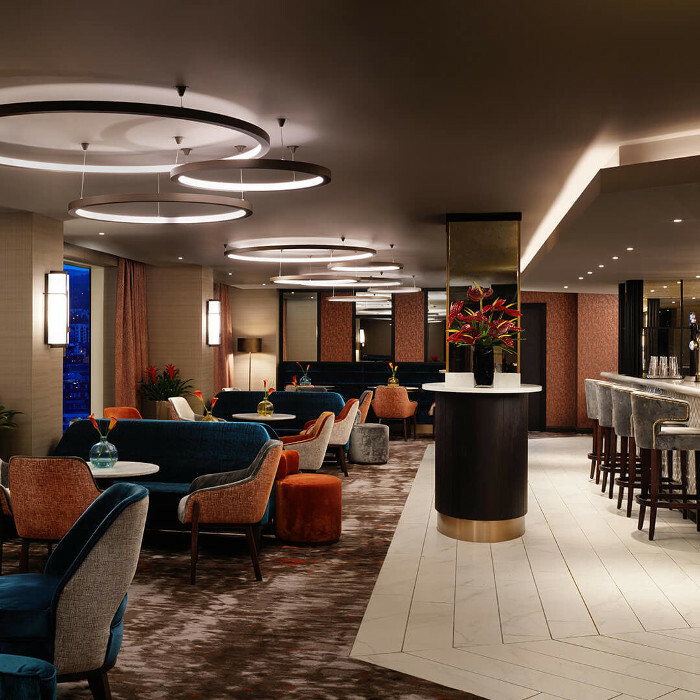 Quality exudes from every angle of the bar and restaurant space; from the phenomenal cuisine and cocktails to the lavish fabrics and fittings. The art deco nods, high ceilings and sense of space add a distinctive drama and the vibe inside shifts as the day rolls in and the sun rolls round. Located on the 23rd floor, the Observatory is an aweinspiring cocktail lounge with spectacular, unique views of Belfast and beyond. The decadent décor combined with the stunning vistas make the inside feel intimate, and the outside infinite. Each of the 300 bedrooms and suites are designed for absolute comfort and relaxation. 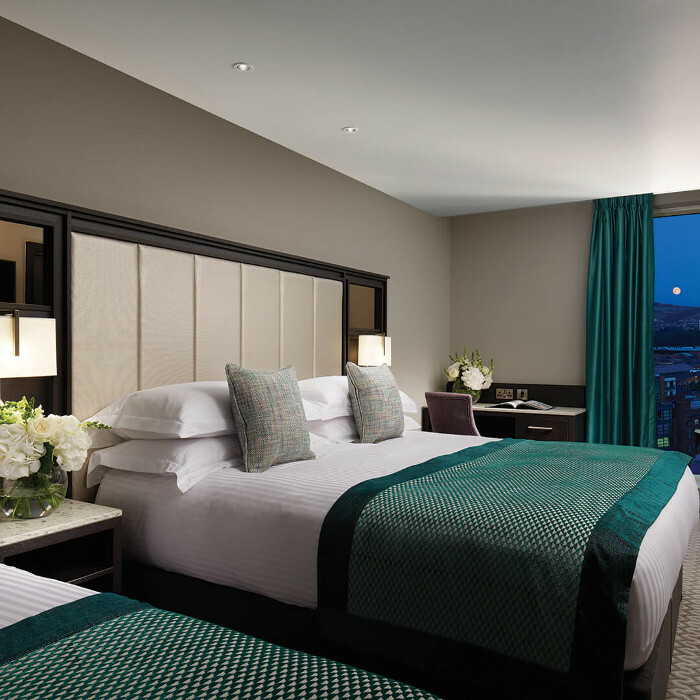 Each room has been lovingly created as an oasis of calm; a thoughtfully crafted cityscape sanctuary teeming with touchable, tactile fabrics and state of-the-art finishes. Mark Higgins, Associate at RPP Architects explains how they selected the materials and craftsmen for this project, “The interior design utilised local craftsmanship where possible sourcing marble and quartz from Ballymoney, specialist joinery and bedroom casegoods from Ballymena, bespoke upholstery and front of house furniture was manufactured in Carrickfergus and bespoke carpet from Portadown.